These three black and white photographs show the Globe Oil and Supply Company in Wichita, Kansas. 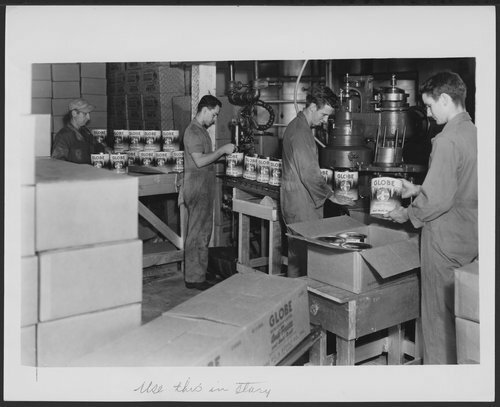 The first image shows employees boxing cans of anti-freeze. The second image is a storage area and the third shows production equipment.